Yam balls are one of the easy finger foods that you make for your toddlers and kids. 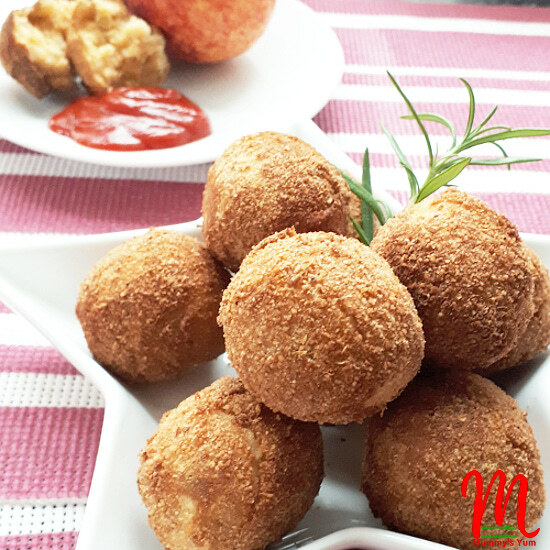 You can easily turn your leftover boiled yam or even yam pottage into tasty yam balls to your kids delight. These protein-rich Nigerian yam balls are a nutritious addition to your kids meal. Yam, an energy rich food is turned into balls and coated with protein-rich beans flour (ground dry beans) and tigernut flour. Tigernuts, apart from being a good source of protein also contains dietary fibre and other minerals that are good for developing kids. A mixture of this nutty tasting flour with beans flour and other ingredients makes these yam balls the perfect protein power addition to your menu. So when making these, you can use whatever you have at hand. You can add a little stew or sauce, onions (well blended if you have a fussy eater), scent leaves/nchuanwu/effirin, cooked minced meat or deboned and flaked fish. 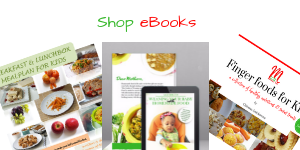 Have you tried other yam ball recipes? Make stuffed Nigerian yam balls or the Nigerian yam croquette too. Mash the yam well with a masher or the back of a fork. Add your seasoning…if using stew or sauce, just a teaspoon is ok and it should be a thick not watery one. Break the eggs into a bowl and whisk . Add a tablespoon to the yam to combine it into a dough. You can add more if the yam does not form a solid ball when moulded into a ball. Mould the yam mix into small tennis-sized or a bit larger balls and set aside. You can keep in the fridge to chill overnight, especially if making for breakfast or lunchbox meal the next day. Place the beans flour and tigernut flor in separate flat trays, with the remaining whisked egg in a bowl beside them. Add the salt and pepper to the beans flour and you can also add other natural seasonings of choice. Take the moulded yam balls one by one and roll in the beans flour first, then dip in the egg mix and finally roll in the tigernut flour coating them well. Deep fry in oil until golden brown and serve. So, are you going to make this? Leave a comment below if you try it and don’t forget to subscribe to Mummy’s Yum emails below. 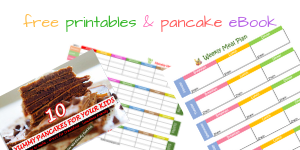 Join us on MOMY for more interaction on kid-friendly, healthy meals and more. Don’t forget to also like and follow us. Wow… You are a genius!!! Can a baby of 8 months eat it? Thank you Agatha. Of course baby can, with your supervision. Thank you Olabisi. You can buy if in Nigeria…just ask around.